Wander along the river through towering red gums, enjoy the abundant bird-life, watch cattle grazing peacefully in the paddocks. Located on the edge of the Broken River, Marangan is a beautiful riverside property like no other. 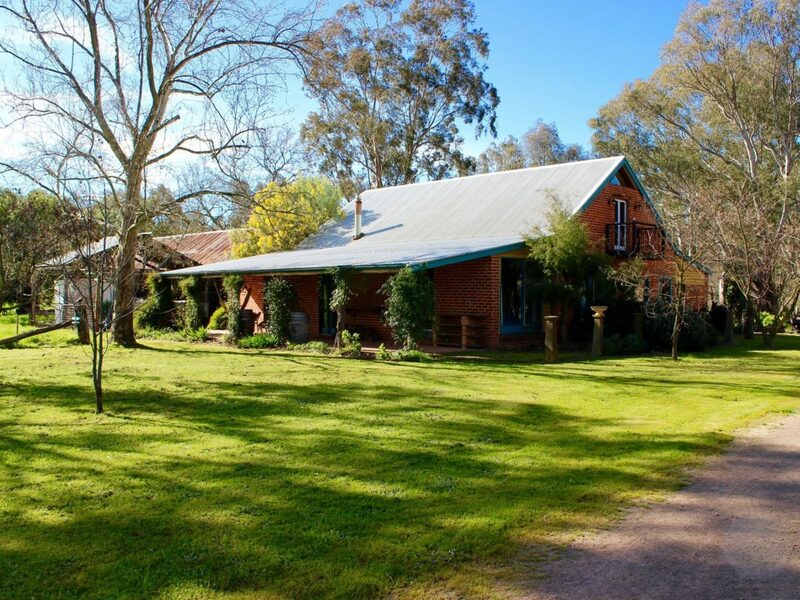 Secluded, yet only minutes from the heart of Benalla it provides for an amazing getaway. Featured in Country Style Magazine, the old red brick dairy has been transformed into a comfortable home with modern conveniences and plenty of rustic charm. The Dairy has a large open plan living area, full kitchen, bathroom including bath, laundry and sleeps six people in roomy bedrooms. Other features are undercover parking, plenty of room for trailers and they can even provide a paddock for your horses. The Dairy boasts two lovely outdoor areas perfect for unwinding after a day exploring the North East of Victoria. There is river access close by and plenty of property to wander around. Only two kilometres from the heart of Benalla, The Dairy is close to the highly regarded Benalla Art Gallery, lakeside walks and bike paths, great cafes, restaurants, specialty stores and world class street art.